Do you wear silver jewelry but you do not know how to clean it when it begins to lose its shine? Learn from the experts how to quickly clean silver your silver jewelry. Silver gets a yellowish-brown or even black color due to chemical reactions that occur between metal and the pH of our skin. This natural process is called oxidation. Specialists show you how to clean silver with easy to apply, cheap and chemicals-free methods. 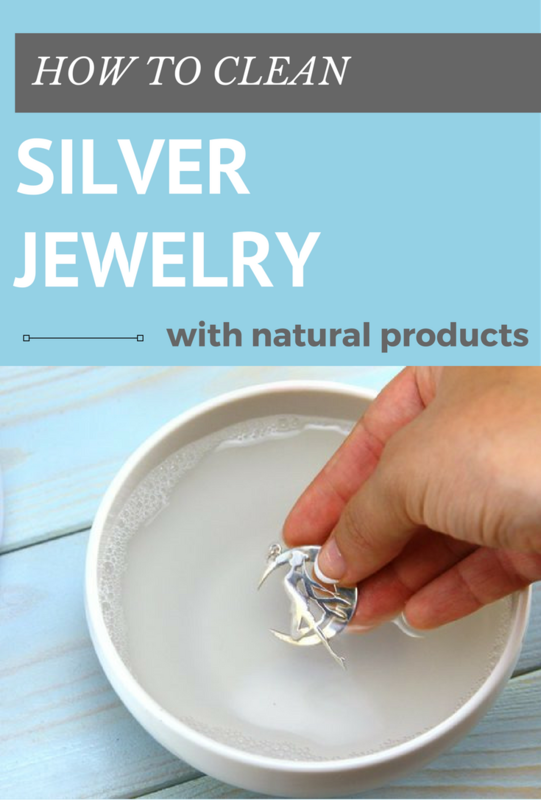 You do not have to buy all kinds of silver cleaning solutions or to go to a jeweler every time. You can use natural products that you already have in your home, such as baking soda, garlic peels, potatoes, vinegar, citrus or ammonia. You just need a bowl with lemon juice in which to sink your jewelry. Take them off after half an hour, rinse them with warm water and wipe them with a cotton towel. You need an ammonia solution with a concentration of 10%. Soak the silver in this solution and remove it after 10 minutes, wash it well with clean water, dry it and rub it with a soft towel. Boil a few potatoes (peeled) and after the water has cooled down, soak your silver objects in it for 5 minutes. Then wipe them with a soft towel in order to remove all the traces of potatoes broth. Put garlic peels in a bowl of boiling water and sink your jewelry in it. Let them boil together until you notice that the silver regains its color. Roll aluminum foil on the bottom of a bowl, put your silver jewelry in and cover it completely with baking soda. Pour boiling water over it, so as to overcome the jewelry. You will notice a chemical process that creates foam. What is actually happening? During the reaction, the sulfur atoms (which give the black color to your jewelry) are transferred from silver to aluminum – baking soda works as a catalyst. You can turn objects on all sides with a fork to clean them better. After a few minutes take them out and rinse them under running warm water. If you have exquisite silver jewelry, the best would be to clean it with a damp cloth dipped in baking soda. Rub them until they regain their original color. The baking soda granules are abrasive and remove the oxidation layer as the friction takes place, the silver gradually regaining its original color.